The Caine Mutiny is a 1954 Oscar nominated movie starring Humphrey Bogart as an erratic US Navy disciplinarian posted to the U.S. Navy destroyer minesweeper, the USS Caine. The crew is undisciplined but perform their duties well. Bogart plays the role magnificently, depicting Queeg as a ball-bearing rolling paranoid sociopath with little self knowledge. He makes authoritarian decisions that have negative impacts on the vessel, crew and missions. It’s fair to say that not all human beings are high minded. People can act badly and unconscionably and hurt others in the blink of an eye. It’s a fact. There are also great people who lead and inspire. Who are open to innovation and creativity and work well with others. 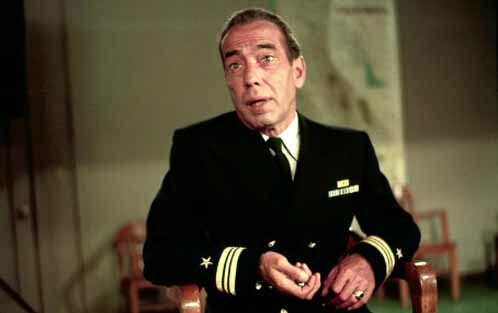 Should you suffer under the stewardship of a Captain Queeg and hope that things will get better? Speak up. Move on and find a place where you can flourish and create. Like cornered animals they will fight and manipulate with amazing ferocity. Did Leonardo Da Vinci have a Macbook Pro?